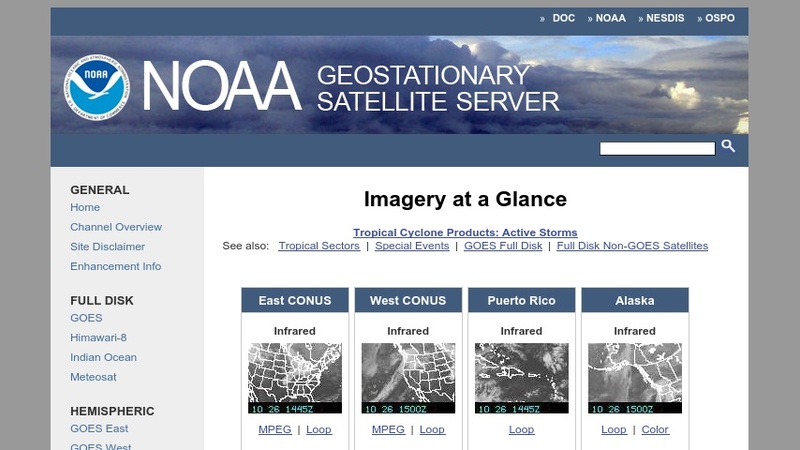 This database contains imagery from geosationary satellites. Visitors can access daily images or archived imagery form GOES-9, METEOSAT, and other satellites. The imagery features hemispheric and whole-disk views of Earth, water vapor maps, and images of storms and other special events. Links to satellite homepages and to other related topics are included.